Wat Pra Chetuphon is a popular temple in Bangkok, also known as Wat Po. 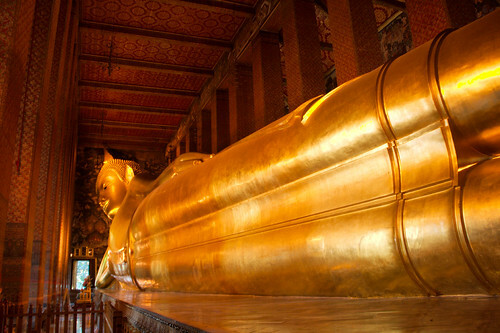 One of the main attractions here is the giant reclining Buddha image. Every day people from all over the world come here. 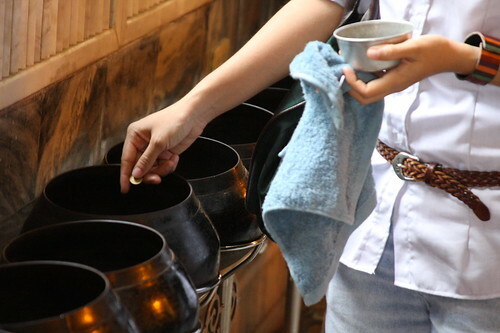 Most Buddhists also make merit by taking a small bowl of coins that you can get for a donation inside the building, and then putting coins in a row of alms bowls. This money will be used for the maintenance of the temple. This temple housed the first open university for traditional Thai medicine, and until today you can get a traditional Thai massage by trained therapists on the compounds of the temple. It’s best if you go here with a private tour guide who can explain you the meanings of symbols, the structure of the temple, it’s history and religious significance. 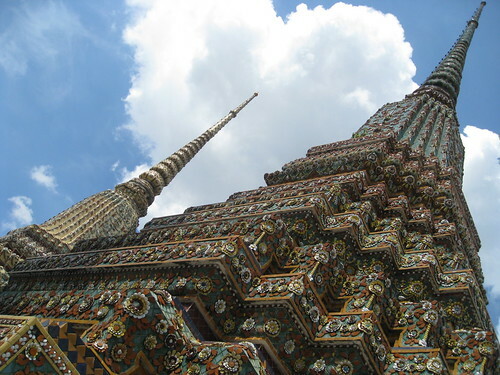 There are many interesting things to see and learn here, and you can easily spend a couple of hours, given that you have an interest in history, Buddhism or Thai culture. 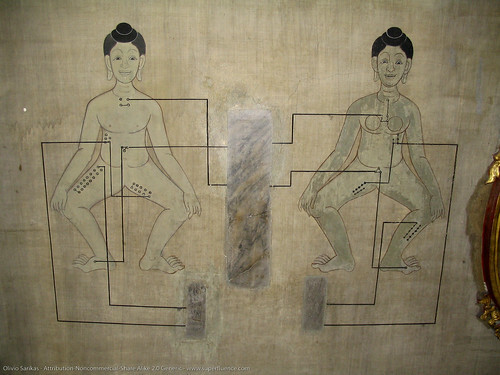 You also find images that depict energy lines of traditional Thai medicine. 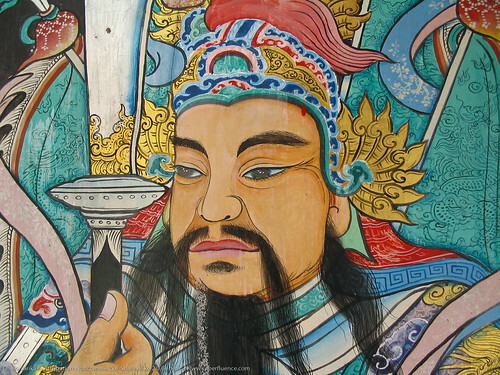 Some of the theories of traditional Thai medicine are similar to elements of traditional Chinese medicine (particularly with meridians and acupressure points) and Indian chakras. 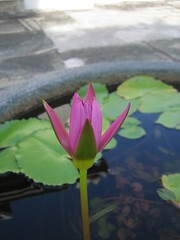 The lotus flower is one of the main symbols of Buddhism, so it’s no surprise that it can be found in the temple compounds of Wat Pra Chetuphon too. 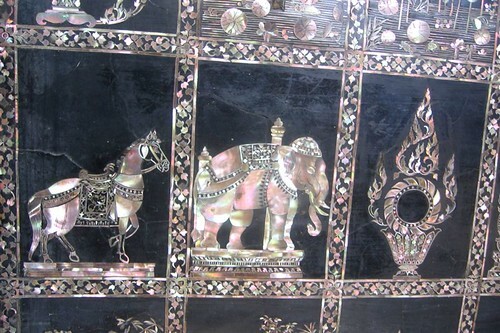 It represents 108 positive characteristics of the Buddha and includes depictions from the Himmaphan – a mythical realm of Thai cosmology. These pyramid shaped structures hold remains of early kings of the current Chakri dynasty.